Italian giants AS Roma will take to the field in a crucial UEFA Champions League (UCL) round-of-16 first leg match against Portugal’s FC Porto. Italian giants AS Roma will take to the field in a crucial UEFA Champions League (UCL) round-of-16 first leg match against Portugal’s FC Porto. 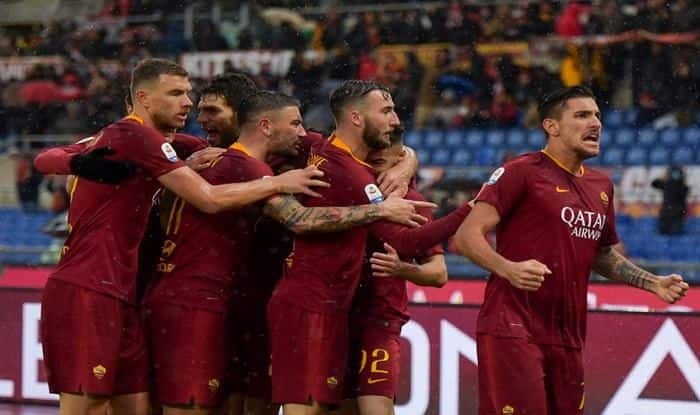 Roma’s head coach Eusebio Di Francesco called on his players to stay motivated ahead of the tie. The coach of the Serie A side, along with team captain Daniele De Rossi, attended a press conference in the Italian capital at which he reminded his squad of Roma’s historical achievement last season when they reached the semifinals, reports Efe news. “There is still a long way to go, but what I can say is that tomorrow we have a great opportunity to produce a good performance and bring back some enthusiasm,” Di Francesco said. “Every chance is important and that is especially true in the Champions League,” he said. “There are only two Italian teams left in the competition, which we are proud about.” “We need to be ambitious,” he added. When is the Roma vs Porto, Champions League match? The Roma vs Porto, Champions League match is on February 13. What time does the Roma vs Porto, Champions League match start? The Roma vs Porto, Champions League match starts at 1:30 AM IST. Where will the Roma vs Porto, Champions League match take place? The Roma vs Porto, Champions League match will be played at Stadio Olimpico. Which channel will telecast the Roma vs Porto, Champions League match on TV? The Roma vs Porto, Champions League match will be telecasted live on Sony Ten 1 and Sony Ten 1/HD in India. How to watch live streaming of Roma vs Porto, Champions League match? The live streaming of Roma vs Porto, Champions League match will be available on Jio TV’s official app and Sony Liv and Airtel TV official app. Roma: Mirante; Karsdorp, Marcano, Jesus, Kolarov; Zaniolo, Nzonzi, Cristante; El Shaarawy, Dzeko, Kluivert.